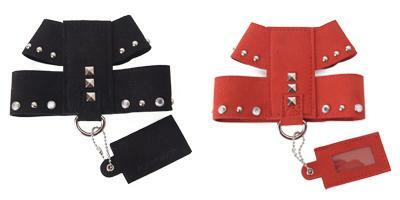 Made from soft faux suede each harness is adorned with rhinestones and antique-style studs. The chest and neck is adjustable using Velcro. The strong strap down the back holds the two D-rings for attachment to leash. Comes with a matching nylon tangle-free leash 120cm long (46").